Brittany, a fashion, lifestyle and travel blogger who was awarded the Breakthrough Fashion Blogger Of The Year honor by the 2015 Bloglovin’ Awards. She is the creator of the popular blog Thrifts and Threads that turned her love of fashion into a new career. She is a style Influencer who has built a community of more than 1 million followers by tapping into her passion. Being a fashion stylist, she is fond of tattoos too. She got her all tattoos inked by her favorite tattoo artist, JonBoy in NY. Let’s breakdown all her tattoos and their meanings. 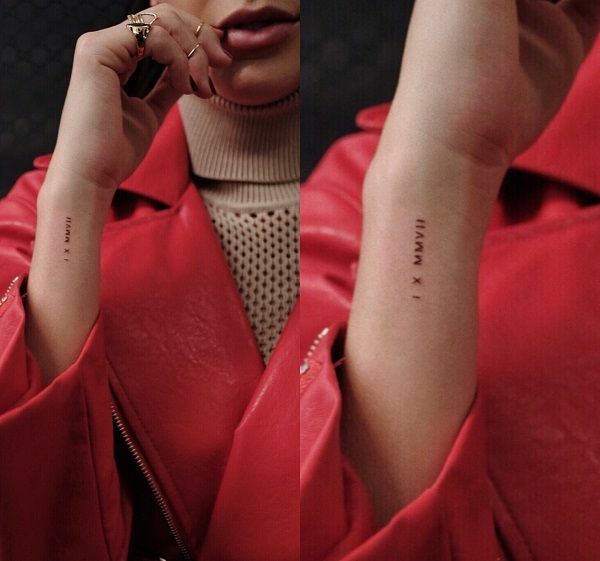 Meaning: Brittany has the date 1.10.2007 inked in Roman Numerals on her wrist. It’s her daughter, Jaydn’s birthdate. It was the first tattoo she got down on her wrist. 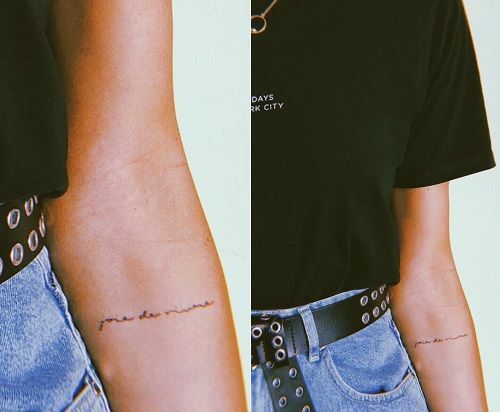 Meaning: During the same appointment of the previous tattoo, she got a small outline of a heart on her wrist, which is more on a whim. According to her Blog on tattoos, Brittany said that it would look cute with bracelets. 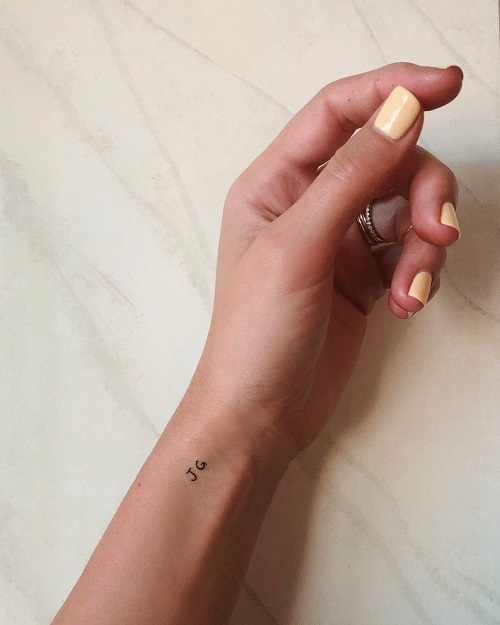 Meaning: Brittany got these letters JG embedded on her skin which stands for her daughter’s name, JAYDEN GRACE. Grace is her middle name. Meaning: Brittany got inked her self with a beautiful Tattoo of rose and 3 leaves. In her personal blog, Thrifts And Threads, she told us that she always gravitates towards the accessories with three details, whether three stones in a necklace or a three-pointed design. She got this Rose specifically with Three Leaves because it reminds her of her little family and if they ever have another baby she’ll add a leaf to it.